Do you want to learn English in the UK? 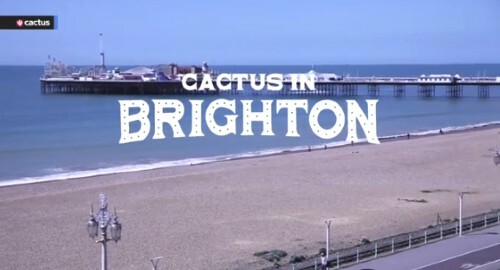 If you are interested in learning English, watch our Learning English and Living in Brighton Video, in which Cactus student Mélanie, from Paris, tells us why Brighton is the best place to take an English course in the UK! Cactus recommended Brighton as it is a popular city on England’s south coast, and it is clear that Mélanie had a fantastic time learning English in Brighton. She improved her English for her Cambridge Proficiency exams, she took part in fun activities and excursions, and she lived with a local family and met students from all over the world. If you want to know more about learning English in Brighton, or want advice on the best English course for you, please visit the Cactus website or call us on +44 (0) 1273 830 960. You can also contact us by Facebook or by Twitter, or contact us here. 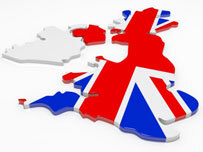 The UK is a consistently popular destination when it comes to learning English. With a wide variety of landscapes, people, cultures and accents within a relatively small area, you get a lot for your money when you book an English course in the UK. With so much on offer, it can be hard to know which is the right location for you. With this in mind we’re bringing you our 10 best places to learn English in the UK, to help you compare, choose and plan your trip. These are also the locations where you will find the best IELTS exam preparation and business English courses, which you will see links to below. An English course in London or an IELTS exam course in London is an experience you will never forget. England’s vibrant, historic and multi-cultural capital has so much to offer students of all nationalities that it is unsurprisingly our most popular location to learn English in the UK. 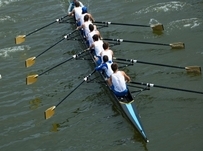 The large number of schools in London means that there is a course for everyone, no matter your age, level or budget, and the activities on offer outside class are infinite, ranging from cultural and sporting to entertainment, shopping, nightlife and more. Your London English course is the perfect way to experience one of the world’s most exciting cities. And for those wanting to take the reputable IELTS test, we offer a choice of long, short and part-time IELTS preparation courses in London. 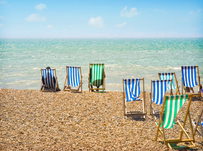 “London by the sea” is what they call Brighton, and if you take an English course in Brighton or an IELTS exam course in Brighton you will certainly be getting the best of both worlds. Buzzing city life accompanied by fresh air and great views – the sea in one direction and the picturesque hills of the Downs in the other – is a unique and enviable combination. On top of this you can expect a laid-back atmosphere, an emphasis on an outdoors, sporty lifestyle and top notch arts and cultural events. 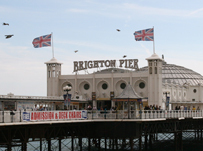 Come to learn English or take your IELTS preparation course in Brighton and you’ll realise that it’s a city unlike any other, and one that year after year attracts British and foreign students for courses and holidays. 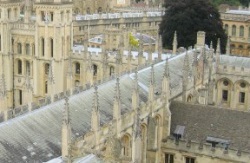 Oxford has earned itself a reputation as an academic centre of excellence, as much for students attending its prestigious university as for foreign students wanting to learn English or take an IELTS exam course at one of its many language schools. Wherever you come from you will have doubtless seen images of the city’s historic architecture, rising spires and attractive cobbled streets, and in real life it is every bit as beautiful. Take an English course in Oxford or an IELTS preparation course in Oxford and you can proudly be part of the city’s flourishing student life, with plenty of opportunity to practise your English outside class, be it to rent a bike or have a pint in one of the city’s traditional pubs. 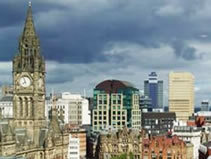 One of our most popular UK cities, Manchester offers a good dose of British northern life mixed with first-class entertainment facilities, abundant sporting opportunities, excellent shopping and no end of places to eat and socialise. As a place to learn English, it is modern and exciting, with a rich historical and cultural heritage. Take your English course in Manchester and you will quickly get caught up in all that there is to do, yet should you ever want a slower pace of life, the scenic Pennine Hills are just on the doorstep waiting to be explored. 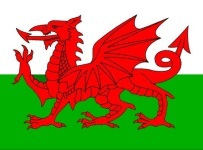 Here’s a little secret: if you are looking for a place to learn English that is a little different, a place of stunning river valleys, pristine sandy beaches, rugged landscapes dotted with castles and supremely warm, friendly people, you must come to Wales. This small but magical country will steal a little piece of your heart before you know it. Take your English course in Cardiff and you can enjoy all that a thriving capital city offers, with the stunning Welsh countryside easily explored on weekends with friends that you make in class. The Welsh accent is often described as melodious, with a distinctive musical intonation – and although English is spoken everywhere, you may even find you pick up a few words of Welsh! Cambridge is famous the world over for its prestigious university, unique traditions and active student life, meaning you are just as likely to see a student with his or her nose in a book as you are punting down the river beneath bridges and willow trees. 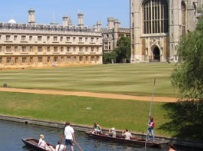 For a place so well known, Cambridge is surprisingly modest in size, making it easy to get around and lending a friendly, intimate feel to the city – ideal for practising your English with the locals. As well as learning English, taking your English course in Cambridge will give you a great insight into the British culture and, with its central location, easy access to the rest of the UK. 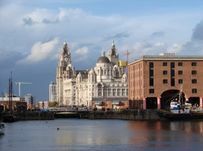 It’s not just the innovative language school in the heart of the city that attracts students to learn English in Liverpool – although this could be reason enough if school and course are paramount to you. With contemporary learning facilities, quality teaching and outstanding value for money, you are in excellent hands if you take your English course in Liverpool. And this is without even mentioning all that Liverpool has to offer. Whether you’re after music, culture, legend or sport, you can’t help but be swept up in Beatles mania, football frenzy and cultural utopia, making this lively northern city an unforgettable place to learn English. 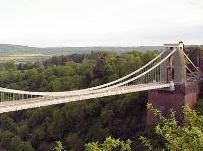 Located in England’s picturesque south-west, Bristol is a wonderful – but often overlooked – location for students wanting to learn English. 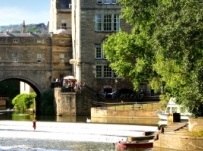 Known as the cultural centre of the West of England, it has struck the perfect balance between a buzzing student life, attractive surroundings (leafy Georgian streets, meandering waterways and a thriving waterfront) and a fantastic nightlife. As a student taking an English course in Bristol, you can expect to be treated as an individual at the supportive, family-run English language school, but not have to vie with hoards of foreign visitors as you might in other UK locations. With picture-postcard views everywhere you turn, you can’t help but fall in love with Bath, a beautiful city in England’s south-west. Perfect sand-coloured rows of Georgian houses, wide tree-lined crescents and quaint boutiques line the cobbled streets and the sparkling River Avon winds gently through the centre. It has an upmarket, wealthy feel, but the large number of students at its university add a young and lively element. If you take an English course in Bath you will inevitably visit the famous Roman Baths, but there’s plenty more to do here and you’ll soon discover why it’s such a popular place to learn English. Scotland has a distinct identity that shines through in its history, culture, traditions and accent, all of which combine to offer the most fascinating language learning experience. 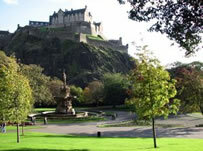 Take your English course in Edinburgh and you’ll soon see that it’s best discovered on foot, with attractive Georgian streets, impressive statues and countless cafes leading you to famous landmarks such as Edinburgh Castle, Princes Street and The Royal Mile. 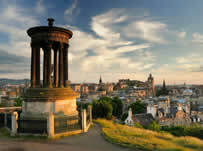 Time your trip in the summer to catch the dazzling Edinburgh Festival or join in the unmissable Hogmanay celebrations at new year. Whatever you do, life north of the border certainly won’t disappoint. Cactus offers a variety of English courses across the UK and in other countries worldwide. Courses include General English, Business English, Academic Year programmes, exam preparation courses and Under 18s summer camps. The world of TEFL can be daunting for those starting out, but with the right guidance and the right course it can open the door to a whole new chapter of life. For many people, a TEFL (Teaching English as a Foreign Language) course is a great way to discover foreign climes whilst being paid for it. It is a passport to world travel that grants you real immersion in a culture and the ability to make a difference. From graduates to those taking a career break and retirees, TEFL is popular with all ages and walks of life. You can of course take your TEFL course in the country where you hope to find future employment as a teacher. Many people choose to first qualify in their country of origin, and for those in the UK the choice is vast. With a large number of online, part-time and full-time TEFL courses on offer nationwide, and start dates every month, you can easily find a course to suit your needs, lifestyle and budget. The main qualifications to look out for are Cambridge CELTA and Trinity CertTESOL, as these are the two internationally recognised and accredited TEFL courses that many schools across the globe will expect from job seekers. 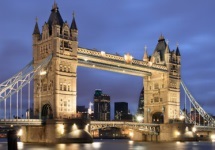 One of the most popular UK locations to take a TEFL course is of course London. Each year the vibrant, cosmopolitan capital attracts students of all nationalities to its many teacher training centres spread across the city. Taking your TEFL course in London is guaranteed to be a brilliant experience, with world class entertainment on your doorstep – a welcome break from studies – and numerous course formats to ensure your needs are met. Whether you want an intensive 4-week TEFL course in London or a part-time 12-week course in London, the vast choice of TEFL schools in London will ensure there is something for you. There is also the option to take a blended CELTA course (13 weeks part-time), which combines valuable face-to-face teaching practice with online CELTA training. This is a great option if you don’t have time to access the full face-to-face course, as online CELTA materials will be accessible any time that suits you. Saving on accommodation and travel costs may also be a consideration for some students. With so many courses and locations on offer, you might be unsure which one is right for you or have questions as to the application procedure – all to be expected, especially if TEFL is new to you. Cactus TEFL is a great resource at this point, as it offers a unique admissions and advisory service to aspiring teacher trainees. Working with the majority of well-known course providers worldwide and allowing you to compare accredited TEFL courses and gain masses of impartial advice along the way, you can be sure that by the time you submit your application – which you can do through Cactus – you will fully understand the TEFL process and be confident of your chosen course. All this at no extra price: you pay exactly the same as if you go direct to the school. Good luck on what is guaranteed to be an exciting, challenging and highly rewarding journey towards becoming a qualified English language teacher! See below for a list of part-time, full-time and blended TEFL courses in London. 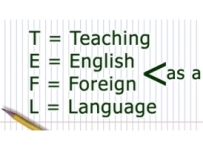 For courses outside London, click here for a full list of TEFL courses in the UK. Drum roll, drum roll…announcing the winner of the Cactus Teacher Awards! As usual we ran our Cactus Teachers Awards last term and were delighted to receive wonderful comments about our teachers from many students. Thank you to our students for taking the time to tell us about your teachers, and congratulations and thanks to our teachers for consistently delivering such high quality and inspiring courses. Our winning comment for the Autumn 2013 term was for Lina-Flore Beaujoie, who taught our French Beginner 1 course in London Holborn-Russell Square. Lina wins a £100 voucher and her student, Victoria Krivolap, wins a free 10-week evening course. “My teacher deserves to be nominated because she is the most creative person with her own approach to the learning process. Our lessons are very diverse: we read, listen, play different educational games, do quizzes and discuss different topics…so we cover not only the simple vocabulary. Lina-Flore Beaujoie is passionate about her work and I, as her student, feel this passion and enjoy it. She puts her heart into the way she teaches the language. I was really surprised by her methods and strategies because of my personal results in the French language in such a short period of time. The best trait of character she has is that she keeps an eye on every student and treats him or her as if it was a private lesson! Each of us can feel like it is a one-to-one tutorial lesson and that is so great! Every task that she gives shows how much she wants us to learn French really well. She encourages our efforts to go further than a textbook; we listen to CDs, view DVDs, etc. And she invites us to take part in funny language games which make the lessons so entertaining and interesting. Studying should be fun and Lina-Flore knows it! Two hours of French lesson pass as one moment…I always feel sorry at the end of the class that now it is one more week to wait for the next one. On receipt of her award, Lina commented: “I feel very lucky to work for Cactus. The support and care you show for your team is truly commendable”. Alongside her voucher Lina has also received a certificate confirming her award. Congratulations to everyone and we look forward to another successful year of language learning and teaching! Sebastian Clemens, intern for Cactus Language, tells us about his 10-week French Language Course in Brighton. 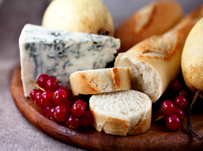 I studied French for three years at school but never had the opportunity to put into practice what I had learned as I have never visited France. So a language course with Cactus seemed like the perfect opportunity to brush up on my knowledge and skills. I did not remember much from school so I decided to take a Beginner 2 French class, which turned out to be a good decision for me as the level was neither too high nor too low. After revising some of the basics of the French language like the alphabet, personal pronouns and grammar structures, the whole class was surprisingly quick at forming sentences and because of this my confidence grew when speaking in just a few hours of the course. I think one of the reasons for my quick progress was due to the full immersive teaching method used. I believe this is the best feature because instead of translating words into English, the teacher explains, illustrates and describes language structures and words in French, helping the class understand and remember more. It is a lot of fun once you get used to this method and feels much more effective when learning a language. The lessons lasted for two hours and time usually flew by with speaking, listening and writing exercises. There were occasional games and the lessons never felt boring and every week was a mixture of gaining new knowledge and revising what we had learnt in our previous lessons. The homework helped me to keep track of the content covered in the last lesson as I found that sometimes it was hard to keep track of my progress, particularly because I am working and found I did not have a lot of time to revise. I find that I still struggle with understanding spoken French on the radio or TV, but definitely hope I can continue some studying the French language on my own in the future. If you would like to follow in Sebastian’s footsteps and take a French language course, then Cactus offer a variety of courses throughout the UK, US and in France. Christina Niedermeier, marketing intern for Cactus Language, tells us about taking a French language course in Brighton after not having studied French for several years. Sometimes the hardest thing to do is to start again, especially when studying languages – or so I thought. When I was at school in Germany, I took French lessons for three years and I really enjoyed them. But when I had to decide which A levels I wanted to take, I dropped French because I wanted to focus on other subjects such as English, History and Maths. With my focus on other subjects, I did not think about the French language for a very long time and thought that I would not have the opportunity to study it again. However, this February I came to the UK to do an internship in the marketing department of Cactus Language and as a member of the Cactus team I have the opportunity to take a free 10-week language course here in Brighton. As I was surrounded by people speaking different languages every day, I felt inspired to take them up on the language course but I was not sure which language to take as there are many to choose from. For that reason, I had to ask myself whether I wanted to learn a completely new language or did I want to refresh my really rusty French. After a while, I decided to take a French language course with Cactus because I had already spent some time learning the language and wanted to revive the bits of French I still had in my head. 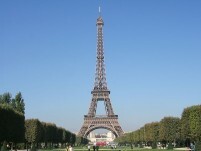 I did the on-line level test as I was not sure of my language level and began an elementary level French course. Before my first lesson started, I was fairly worried because I felt like I had forgotten everything I ever knew about French. I think many people who stop speaking a language for some time will feel the same. At the beginning of my course I found I was hesitant and struggled with the easiest of sentences but I knew that the grammar and vocabulary had to be somewhere in my head. I just needed to find them again. Our French teacher was great and covered basic French grammar in the first few lessons, so everything came back to me step by step. So far, I can use basic French grammar again but I know it will take a little bit longer and a lot more work until I reach my former level. However, now that I have taken the first steps to start learning French again, it’s easier to keep going. I also have the motivation to improve because I will be attending university in Rabat, Morocco’s capital, for a semester and their second official language is French. Parfois la chose la plus difficile à faire est de recommencer, particulièrement lorsqu’il s’agit d’étudier les langues étrangères, ou du moins c’est ce que je pensais. Quand j’étais à l’école en Allemagne, j’ai suivi des cours de français pendant trois ans et j’ai vraiment adoré. Mais quand j’ai dû décider quelles matières je voulais prendre pour mon test de fin d’année de lycée (A levels), j’ai laissé tomber le français parce que je souhaitais me concentrer sur d’autres matières telles que l’anglais, l’histoire et les mathématiques. Etant focalisée sur ces matières, j’ai arrêté de penser au français pendant longtemps et je ne pensais pas que j’aurais l’opportunité de pouvoir à nouveau l’étudier. Cependant, au mois de février de cette année je suis arrivée au Royaume-Uni pour y faire un stage au sein du service marketing de Cactus Language et, en tant que membre de l’équipe Cactus j’ai eu l’opportunité de suivre gratuitement des cours de langues pendant dix semaines ici à Brighton. Etant entourée de personnes parlant différentes langues chaque jour, cela m’a donné envie de suivre un cours de langues, mais je ne savais pas lequel prendre car le choix était important. Pour cette raison, j’ai dû me demander si je voulais apprendre une langue complètement nouvelle pour moi ou si je voulais rafraichir mon français très rouillé. Après un moment, j’ai décidé de prendre les cours de français avec Cactus parce que j’avais déjà passé quelque temps à apprendre cette langue et voulais faire revivre les petits fragments de français que j’avais encore dans ma tête. J’ai fait le test en ligne comme je n’étais pas sûre de mon niveau de langue et j’ai commencé au niveau élémentaire. Notre professeur de français était génial et a couvert les points de grammaire de base pendant les premières leçons, ce qui fait que tout est revenu petit à petit. Maintenant, je peux de nouveau utiliser quelques points de base de grammaire française mais je sais que ça me prendra un peu de temps et beaucoup de travail avant que j’atteigne mon précédent niveau. Cependant, maintenant que j’ai repris les premiers pas pour apprendre de nouveau le français, c’est plus facile de continuer. J’ai également la motivation de m’améliorer car je vais aller à l’université de Rabat, la capitale du Maroc, pendant un semestre et que leur seconde langue officielle est le français. If you would like to follow in Christina’s footsteps and take a French language course, then Cactus offer a variety of courses throughout the UK, US and in France. When I arrived in Brighton 12 weeks ago, I was very happy to hear that I would have the opportunity to participate in one of Cactus’ evening language courses. I have always been extremely fascinated by languages, so much so that when I was 15 and in the 10th grade of school, I was learning 5 different languages as my school offered a wide range of both obligatory and voluntary language classes. As I had learnt Italian for two years, I decided to register for the Italian Beginner 3 course in my first week at Cactus Language. In my opinion, Italian is one of the most beautiful and colourful languages in the world and listening to people speaking Italian makes me think of lovely Italian towns, amazing landscapes and sunny and carefree holidays. The 10-week Italian course was the perfect chance for me to refresh and engage in the Italian language again. The lessons not only provided me with this excellent opportunity but also allowed me to meet some new and interesting people who were also studying Italian for a variety of reasons. I really appreciated getting to know some of them personally and forming friendships whilst learning the language. The atmosphere in my classes was very lively and a lot of fun. Our native teacher Roberta was great and extremely enthusiastic. I was fascinated by the way she taught with a wide variety of methods and materials so that the lessons were never dull. I especially enjoyed how the tasks seemed to relate to real situations, such as working on and presenting Italian dialogues during ‘un viaggio in Italia a Roma’. She easily managed to keep everyone involved and coped well with the different abilities of the class. If anyone was unsure about something, she was always happy to help and, if necessary, explain again using examples to make it clearer. Having a native speaker of Italian as a teacher was a huge advantage, and it really reinforced what we learnt. I benefitted from the fact that Roberta only spoke English where clarification was needed and used Italian for the rest of the time in the lessons to communicate with us. Further to this, it improved our listening skills and she encouraged us to speak Italian at every chance to advance our speaking skills and especially our pronunciation. The tasks she set us were well balanced between all the disciplines, reading, writing, speaking and listening. I also appreciated that we always had the possibility of homework and that Roberta gave us good advice for self-studying at home during and after the course. Given the opportunity I would definitely do this course again, as it was a great experience, and if I was staying for longer, I would definitely continue with my Italian course at the next level. I feel that I have made progress with my Italian and I hope to get the chance to use it again soon. 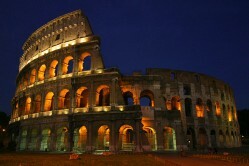 The course really inspired me to travel to Italy and to visit the country. If you would like to follow in our intern’s footsteps and take an Italian language course, then Cactus offer a variety of courses throughout the UK, US and in Italy. A language and sports camp is a unique and ingenious concept to encourage children to combine their love of sport with learning English. As far as ‘educational’ holidays go, this one’s a winner if you have a sports-mad teen in your house and long summer holidays ahead. In the UK the specialist sport is football, which is entirely appropriate given that it is a national sport and passion here. The UK boasts one of the most popular and wealthy sports leagues in the world – its football Premier League – as well as some of the world’s most famous football clubs. It is in conjunction with two of these, Manchester City and Liverpool FC, that Cactus offers specialist summer sports camps, where students aged 12-17 years receive English language classes in the morning and football training in the afternoon, in addition to a range of fun social and cultural activities. All of this takes place in a fully supervised and secure environment, to ensure the health and wellbeing of students while they are away from home. The great thing is that these programmes attract students from all over the world, so there is a true mix of nationalities and abilities, with teens often making life-long friends on these camps. It is a sure-fire recipe for success both in the classroom and on the football field! The Manchester English & Football Summer Camp is available with host family accommodation, residential accommodation, or as a day camp only. It runs from Monday 1st July to Friday 9th August and can be booked from one week upwards. Girls and boys are both welcome on this course, as long as they are neither complete beginners nor international standard players. The FA qualified football coaching takes place on four afternoons each week at the state-of-the-art Platt Lane Complex, one of Manchester City’s training grounds and home to The Youth Academy for young Manchester City players. Students learn key football skills such as dribbling, turning, shooting, passing, teamwork and ball control, and play 5-a-side and 11-a-side games. The Liverpool English & Football Course is offered with accommodation in a secure, supervised hotel near to the school and Liverpool city centre. It runs from Monday 1st July until the end of August and can be booked from two weeks upwards. Participants must have an elementary level of English but can be complete beginners in football, making it ideal for teenagers that are mad about football as well as those who just want to learn more about it. Coaching takes place for three hours on Monday, Wednesday and Friday afternoons and is given by coaches who have produced the like of Michael Owen, Steven Gerrard and Jamie Carragher. Students learning football under their guidance will learn about Liverpool FC’s spirit of fair play, their commitment to attractive football, the sporting achievements and traditions of this historical club and the pride that comes with wearing the famous red jersey. These junior football programmes are a perfect example of how learning a language is best done doing something you love. 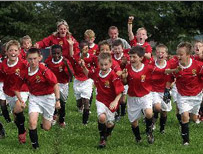 Surrounded by English, your child will learn as much on the football pitch as he or she does in the classroom, communicating with locals and other students of the same age in a safe and friendly environment. Most importantly, they will come back refreshed and confident in the language, energised after their sports training and armed with a long list of friends to visit around the world! Please visit our website for full details and prices for each course: Manchester (host family), Manchester (residence), Manchester (day camp), Liverpool (hotel). We offer language courses for Under 18s in many languages and locations across the world. Any parent with children of school age will be familiar with the task of keeping them entertained during the school holidays, no more so than during the long summer break. To find something social, active and educational is ideal – and that is exactly what a junior language holiday, or camp, in the UK offers. •	Motivation on returning home to keep up the language they have learnt and achieve better grades – whether at school or applying for a British university. 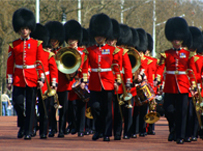 The UK is a popular destination for a junior English holiday as it offers a fascinating variety of cultures, landscapes and traditions. With this in mind, Cactus offers a range of programmes in both England and Scotland to suit different tastes and budgets, for children aged 8 -18 years. Worth a special mention, Cactus’ English and Football courses in Manchester (15–18 years) and Liverpool (12-17 years) are a must for any sports-mad teen. An absolutely brilliant way for your child to combine his or her love of football with an English language holiday, these football summer camps offer young sports enthusiasts the chance to improve their English whilst receiving FA qualified football coaching in partnership with two of the country’s premier clubs – Manchester City or Liverpool FC. A sure-fire recipe for success both in the classroom and on the football field! Most parents sending their children away will have understandable concerns about their safety and welfare. However all junior programmes are fully supervised to ensure not just the security of the youngsters but also their general wellbeing whilst they are away from home. All programmes offer excellent staff/student ratios, emergency contact numbers for students and parents, and on-site medical support. On top of this, supervisors and staff are friendly and approachable, with many years’ experience in dealing with younger students; they maintain a close eye on students at all times and provide support should a student be missing home or have any concerns. All of this ensures that students derive maximum benefit and enjoyment from their stay. Having visited and vetted all the locations and schools that we work with, parents who are unsure where best to send their children can call to discuss their wishes with one of our multi-lingual advisors, and at the same time benefit from in-house academic support. Knowing that you can always call about any aspect of your child’s trip and speak to an experienced member of staff is a valuable benefit – especially when for many this might be their first time away from home alone. Whichever junior language holiday you choose, you can be sure that your child will do much more than just sit in a classroom learning verbs. Every summer camp offers something different, but they all have these key benefits in common: they offer your child the unique chance to improve their English in a safe and friendly environment, try their hand at fun new skills, socialise with others of their age from all over the world and, most importantly, come back refreshed and confident in the language. A summer holiday well spent, for sure. 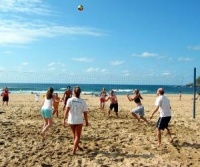 Please refer to our website for a full list of English junior holidays, prices and further information.